Thanks to Dr. Vaidehi Avadhani, St. Luke's Roosevelt Hospital, New York (USA), for contributing this case and the discussion. 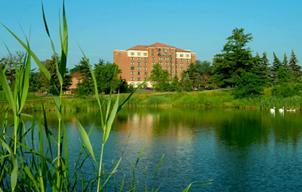 To contribute a Case of the Week, follow the guidelines on our Case of the Week page. (1) As you know, PathologyOutlines.com has always been a free resource for you and your fellow pathologists. The companies and institutions that post Jobs, Fellowships and Conferences, and that sponsor the website with various Banners and Buyer's Guide listings, help us to continue providing free, comprehensive, and up-to-date content. If you use our website to find products and services or Jobs, Conferences and Fellowships, please remember to thank our advertisers and let them know that you saw them on PathologyOutlines.com. (2) We have updated our popular Soft tissue chapter based on reviews by the following Reviewers and Editors: Komal Arora, M.D., Ali Chaudhri, M.D., Jerad Gardner, M.D., Raul Gonzalez, M.D., Ashley Gullett, M.D., Christine E. Jabcuga, M.D., David Lucas, M.D., Ricardo M. Mendoza, M.D., Annie S. Morrison, M.D., Deepti Reddi, M.D., Vijay Shankar, M.D., Lauren N. Stuart M.D., M.B.A., Cliff Sullivan, M.D., Meggen Walsh, M.D., Daniel Wimmer, D.O. (3) On 25 June 2013, we had record traffic of 17,210 visits (378,692 "hits"). In June 2013, we had record average traffic of 13,320 visits. Thanks for your support! (4) Our Feature Page for July highlights Imaging / Digital / Photography and includes Celestron, Leica Microsystems, Milestone Medical, Optronics, and Photodyne Technologies. We also have a new Mystery Case on the right side of the Home Page. (5) Interested in viewing PathologyOutlines.com in another language? While we do not have the resources to translate our site, there are great free translation tools available to you. We recommend google translate. To translate a topic, select 'english' or 'detect language' as the 'from' box. Then select the language you would like to translate it to as the 'to' box. Copy and paste the link address of the topic from our site into the 'english' or 'detect language' box, highlight the link and drag it below the box. The translated page should automatically appear. Author/Reviewer Last Name, Author/Reviewer First Name, Degrees. "Page Title." Website title. Publisher, Date published, Web. Date viewed. Lucas, David, MD. 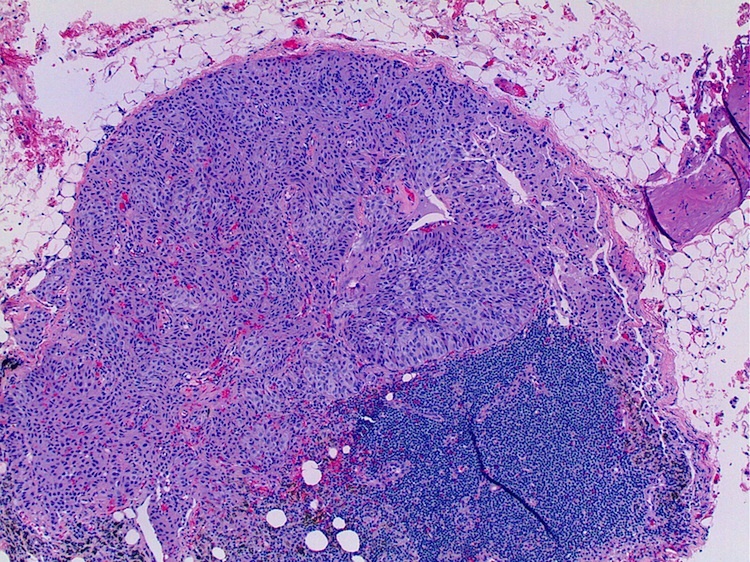 "Bone - Osteoblastoma." PathologyOutlines.com. PathologyOutlines.com, 14 March 2013. Web. 18 June 2013. A 62 year old man with COPD and myelofibrosis presented with shortness of breath. Chest CT showed an anterior mediastinal mass, accompanied by enlarged regional lymph nodes. The mass was excised, and a lymph node dissection was performed. Gross examination revealed a 3.2 cm nodular mass with a tan white cut surface. 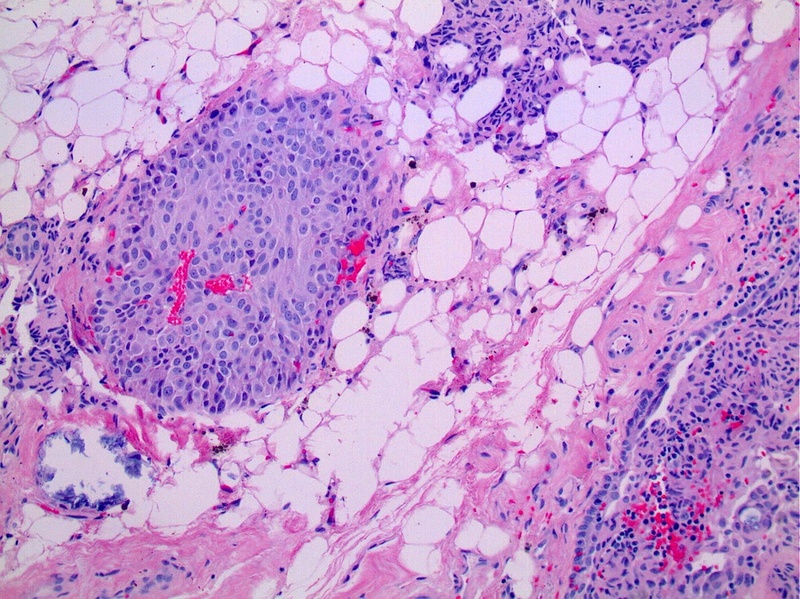 The tumor infiltrates into adjacent adipose tissue. 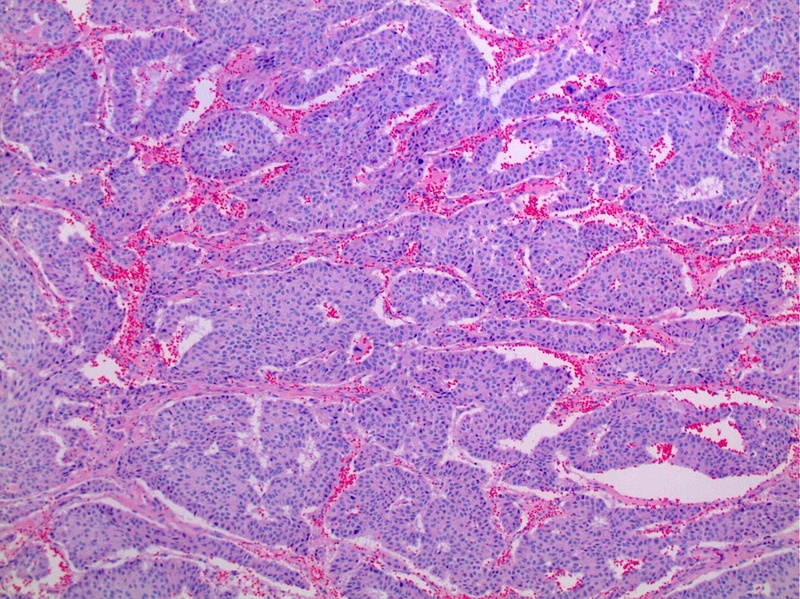 Metastatic carcinoma was identified in 2 of 3 lymph nodes. According to the World Health Organization (WHO), thymic epithelial tumors with predominant neuroendocrine differentiation are classified as Neuroendocrine carcinomas (NEC) of the thymus (WHO classification, tumors of the lung, pleura, thymus and heart. IARC Press, 2004: 188, PDF). 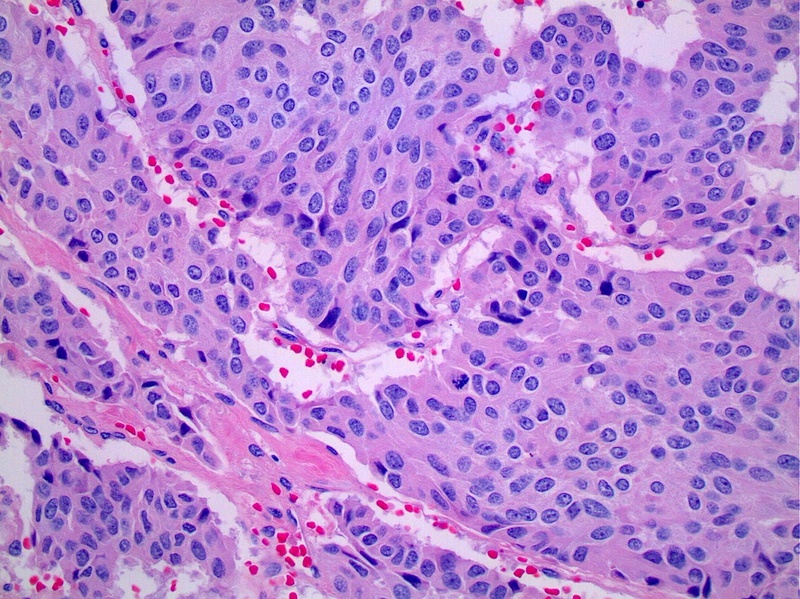 Thymic neuroendocrine carcinomas are classified as well-differentiated NEC and poorly differentiated NEC. 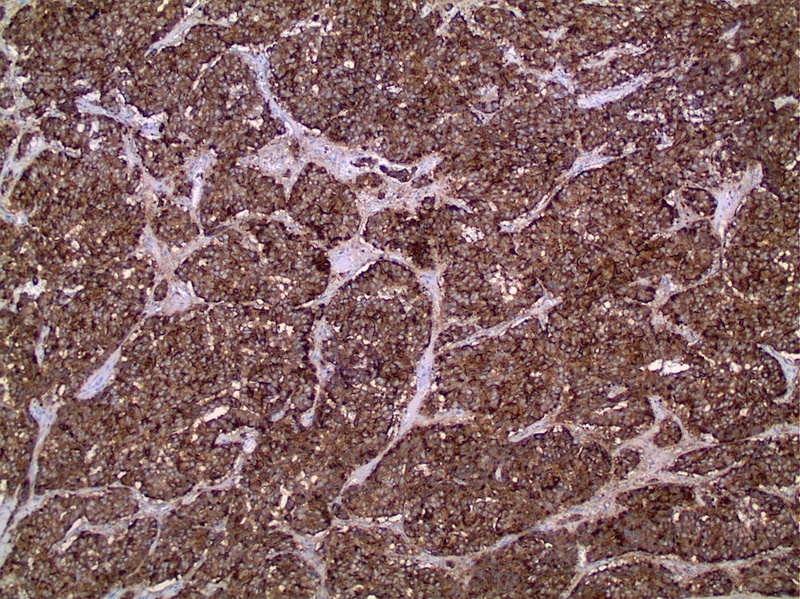 Neuroendocrine differentiation can be demonstrated by immunohistochemistry (synaptophysin, chromogranin and CD56 positive) or by identification of neurosecretory granules by electron microscopy. 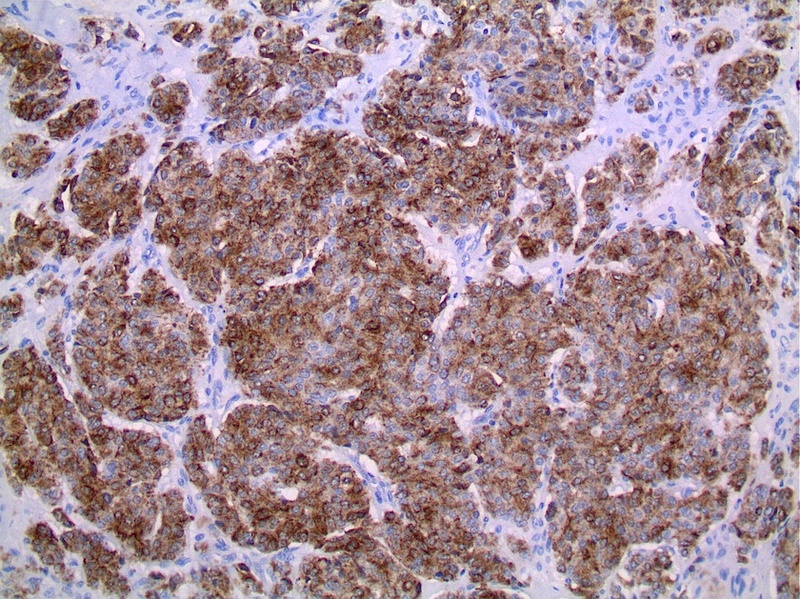 Tumor stage has been found to be an important prognostic factor. Due to the rarity of the tumor, well defined guidelines for management are not yet published. However, most studies show that atypical carcinoids of the thymus are aggressive (Semin Diagn Pathol 2005;22:223, Korean J Pathol 2012;46:221). Radical resection of the primary tumor with local lymph nodes is the standard of care.